What are your after school programs like? Are your art and music programs well-funded? As my cell phone heated up against my cheek, the questions grew more and more vague. The silences grew longer. There was still one more question lurking in my throat, in my chest, lying against my broken heart: Would you take a bullet for my daughter? This is the new rhetoric surrounding neighborhood schools. This is the new fear that turns parents in their beds at night. 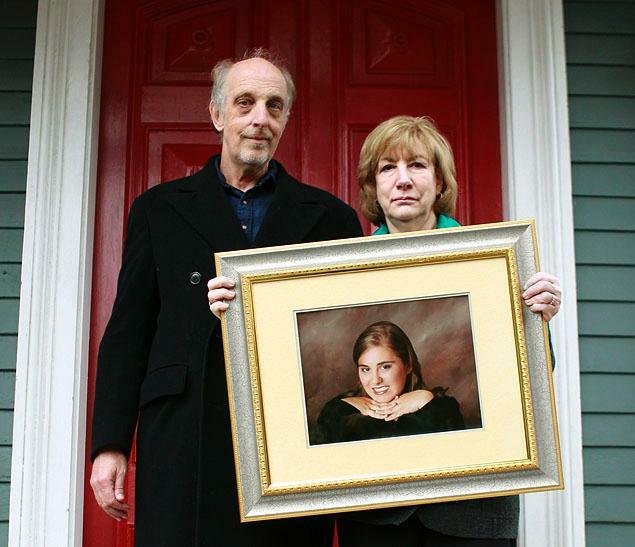 Will my child’s teacher be the next Lauren Rousseau, the Newtown, Connecticut, teacher who selflessly died trying to save her students? Will s/he be willing to stand up to the new face of terror in our schools? And the even bigger question looming over all of us as parents is: do we even have the right to ask such a sacrifice? My daughters now attend a small elementary school in Pennsylvania. Their teacher, a wonderful and thoughtful educator, has a little boy all her own. is it fair to hope that she would leave him motherless in an attempt to save me from an imaginable grief? I don’t know if I, in good conscience, could ever ask that of another parent. For weeks after the Sandy Hook massacre, I, like millions of parents across the country, couldn’t sleep. I relived the story in my head a thousand times. I imagined the fear in the children’s hearts in the two to three seconds it took them to realize what was happening. I lived in that moment. I lived in that classroom. I lived in that grief for weeks and weeks. I considered therapy. I even considered religion. Eventually, I began to move forward, slowly. But in Newtown, there are families who never will. I believe there is a community that will never get past this. It’s too big, it’s too horrible, it just doesn’t fit into any of the compartments inside of them. The world became a different place on December 14th, 2012. For me personally, it was the end of my love affair with politics and news. I was an avid “newsie” for most of my adult life, but as time went on and my television was filled with men and women refusing to stand up to the gun lobby to ensure those children didn’t die in vain, I had to turn it off. I had to bury my anger, bury my head, bury my pain in the arms of my daughters. I’ve always been a staunch Democrat, battling fiercely for what I believed were democratic ideals. Now, I’m just tired and I’m always sad. I’m sad that my government has let me down. I’m sad that this pain and fear inside those of us with small children is like a hot stove we are tied to, yet for most on Capitol Hill, it seems that heat has started to cool. I’m sad that I have to look at my child’s teacher and wonder if s/he would protect them. I’m sad that I even have to ask such a thing of another parent. 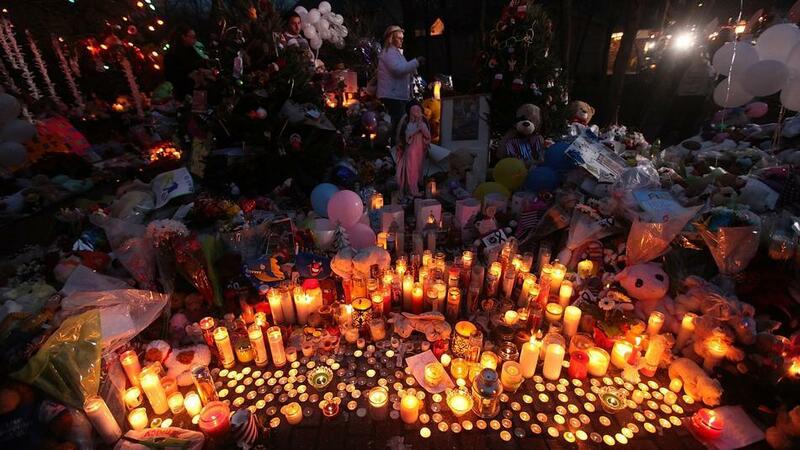 I’m sad for the parents in Newtown, who cannot fathom that gun control is even up for debate. I’m sad that they don’t have the arms of their children for refuge from this cruel world. The Sandy Hook shooting and the political fallout are a language I will never understand. I will never be able to comprehend what happened that day, how it happened, why it happened, and what to do with the fact that it did. The massacre has changed the way I think, the way I feel, and the way I dream. Now, in my dreams, teachers are not asked to take a bullet, the children of Sandy Hook are alive and tucked into their beds at night, and teachers teach, and bad guys don’t have guns. That is my dream, and the dream of so many parents. The American Dream of yesterday is gone. The new American Dream is a school from which our children return home at the end of the day, whole, fulfilled, happy, and…alive.